© 2010 Calico Creek Farm ~ All rights reserved. 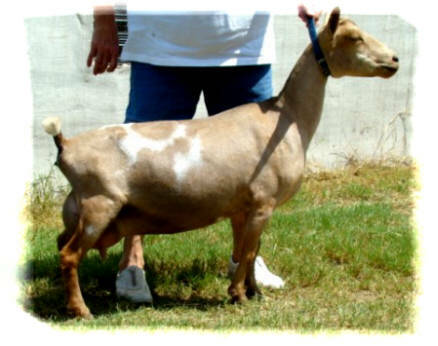 Fawn is a beautiful doe with graceful elegance and lots of refinement; Gary at Pecan Hollow says "Fawn is what you call an 'all around package' - she also shines in the show ring!" Thank you, Gary & Sandra Whitehead, for allowing this special doe to come up here all the way from TEXAS!